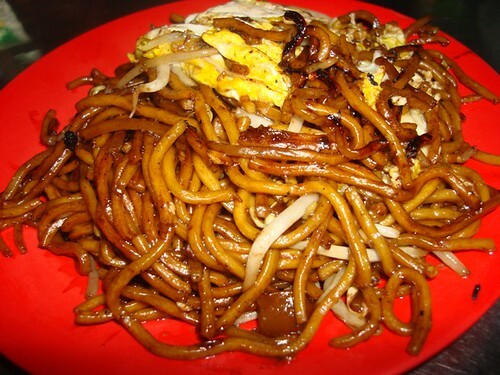 It started with Bryan’s third bowl of kolo mee only this time it was Hakka style kolo mee. 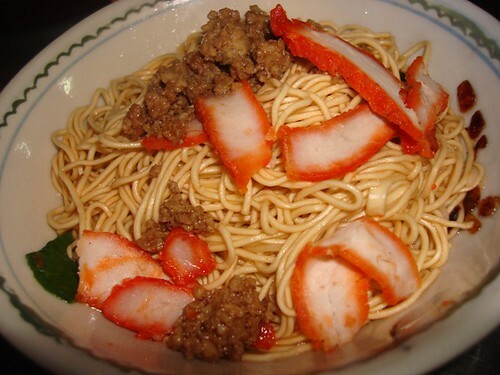 This is one of my father’s favourite noodles and Bryan really liked it too. It’s a good thing that they are both noodle lovers because my father can introduce him to all variations of Kuching noodles. 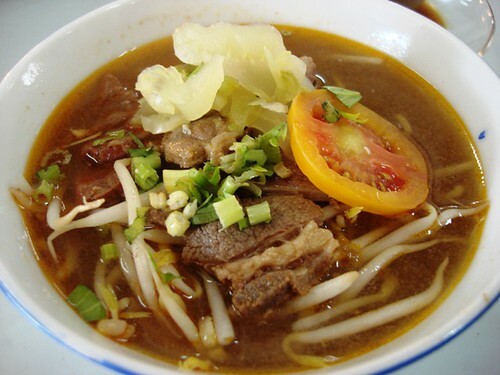 I ordered the beef noodles for Bryan to try, the beef was tender and the soup tasty with a sourish tang perhaps from tomatoes? With all the heaty food from the day before, Bryan’s sore throat and flu got worse so we stopped by the famous herbal tea store for a hit of strong chinese herbal tea. It was very very bitter as you can tell from Bryan’s facial expression. 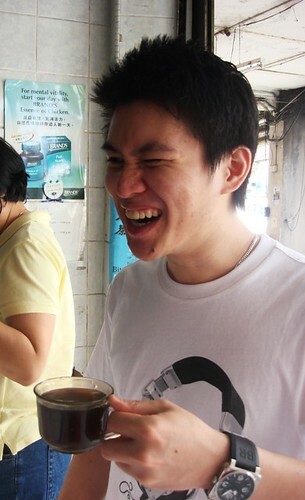 Haha, I couldn’t help laughing, it reminded of the time when I was in Hongkong and had to drink bitter herbal tea as well. I think Jan took a picture of me then. We stopped by my favourite Kenyalang and took a stroll around my sleepy suburb center. Bryan and I had lots of fun taking photos around Kenyalang in all the old stores . He also found his clinic, haha. Wui Hau picked us up in the afternoon and brought us to ‘che bing’ (eat ice) at Song Kheng Hai. Unfortunately the ice store wasn’t opened so we had a plate of belachan beehoon. My brother in law once famously named this dish ‘the bottom of the sea’ and I must admit it’s an acquired taste. It certainly wasn’t up to Bryan’s taste and he couldn’t eat this. He also didn’t like the ju hu eng chai which is cuttlefish with a local vegetable. 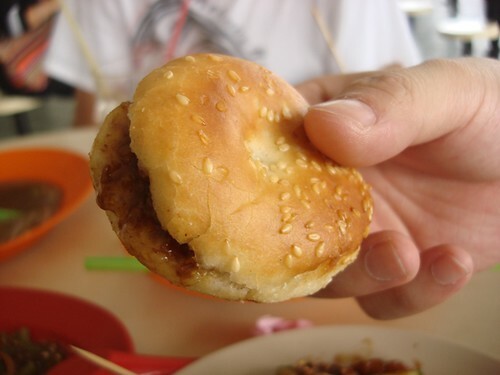 But we all liked the fresh and piping hot ‘kong pia’ which is a foochow biscuit with yummy minced meat sauce in between, very nice! 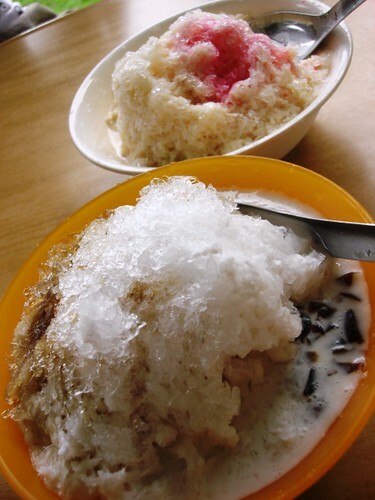 We finally ‘ate ice’ at the San Xiao ice kachang stall. I am not an ‘ice’ fan so I didn’t really enjoy my ices. Then it was time for Jason’s arrival! Exhausted from the long flight but still cheery and smiley as usual. I reckon Mr Chan’s smile can light up a room.We didn’t go home but headed straight to Hui Sen for dinner. We had a bit of everything, tomato kway tiaw, tomato mee. 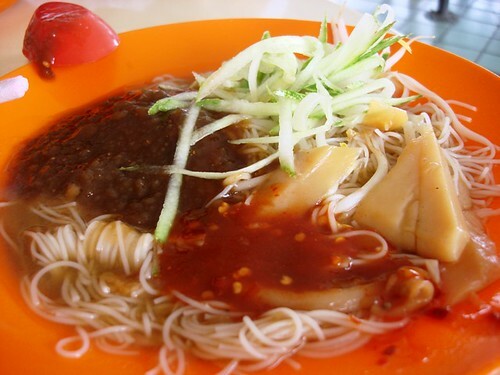 It was actually my first tomato mee but I still prefer tomato kway tiaw. Bryan finally got to try the real taugeh mee after eating my Perth version for so long. He liked the real version a lot. 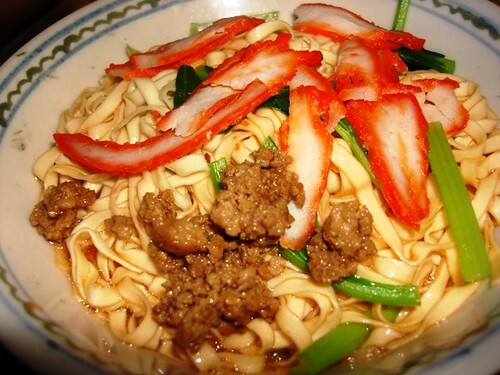 But he and Jason liked the kolo mee even more! This time I ordered the straight noodles with char siew sauce, just the way I like it. 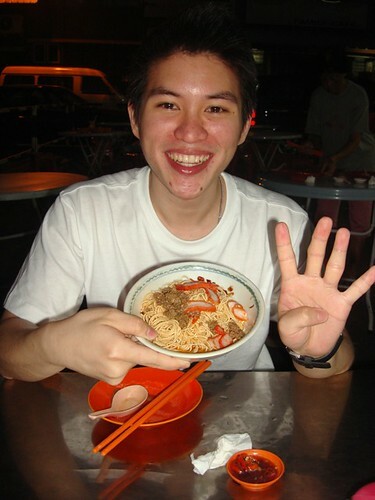 Haha, Bryan’s fourth bowl of kolo mee, he was on a role. 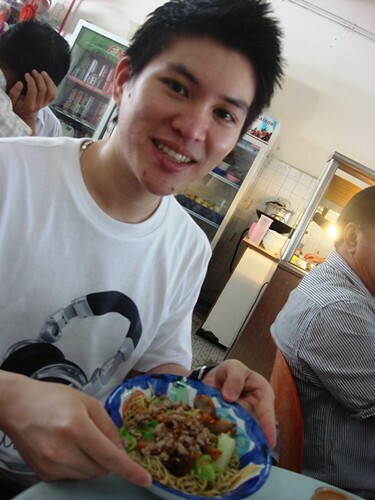 He liked the kolo mee so much that we ordered a kolo mee pok for him to try and he really really loved that too. He told me that it was his first ‘wow’. Bryan is on the flight back to KK now, I think he enjoyed his Kuching trip, I know I really liked showing him around my hometown, introducing him to Kuching food and best of all, hanging out with our friends again. I read this post earlier before dinner and I was nearly salivating! Oh yes, I remember those herbal tea photos well. I took two, I should have made an animated gif hahaha! I remember the ppl sharing our table were so amused hehehe! better not read the next post before dinner because there are more food pictures. That herbal tea was so bitter. Mmmmmmm………I am salivating as well. 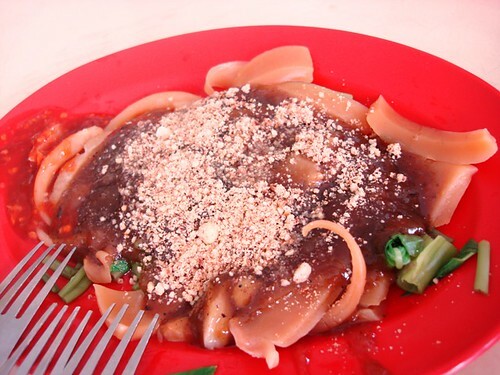 The kolo mee pok looks so good, so much char siao yu. Hahaha! 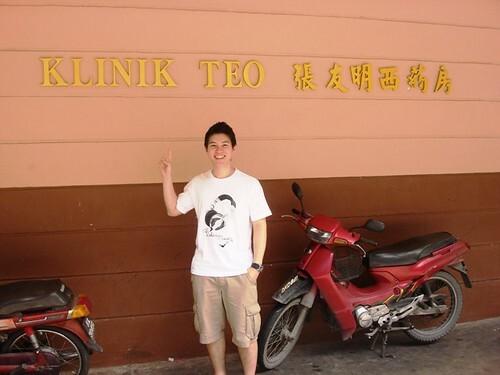 Did you all noe that the Doctor Teo at Klinik Teo died ages ago? 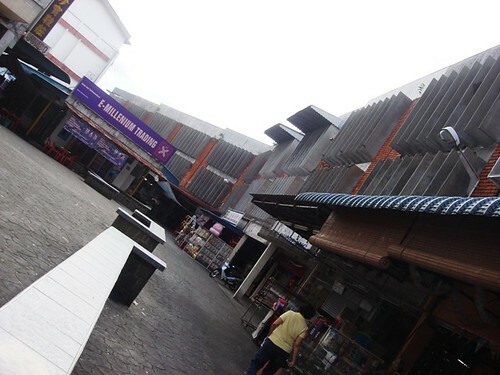 I think that that klinik is vacant. Ah pa looks really cheery as well, next to Mr Chan. Both of them can be in Darlie adverts! Hey, ignore my last comment. Do not know why my comment is waiting for moderation from you. Mmmmmmm………I am salivating as well. 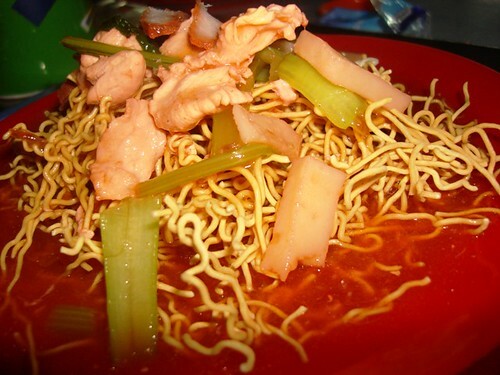 The kolo mee pok looks so good, so much char siao yu. Hahaha! Did you all noe that the Doctor Teo at Klinik Teo died ages ago? I think that that klinik is vacant. 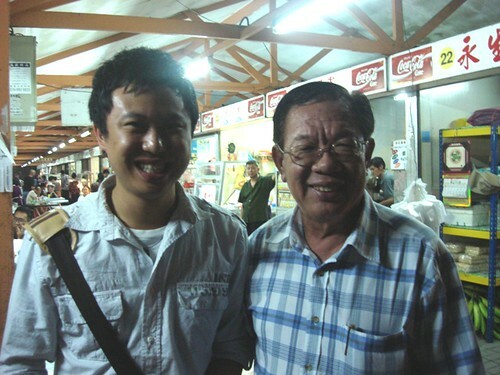 Ah pa looks really cheery as well, next to Mr Chan. Both of them can be in Darlie adverts! no I didn’t know about Doctor Teo. How do you know stuff like that? !